During World War 2 Mepal Airfield was an “expansion” airfield, the construction of which commenced in July 1942. It opened in April 1943 and it functioned as a sub-station for 33 Base in Waterbeach along with Witchford Airfield as part of No.3 Group Bomber Command. Its design was the standard wartime 3 runway layout with the main runway 6000 feet long with two shorter runways approximately 4200 feet each; it had one B1 type hangar and two T2’s. The first aircraft to arrive was a DH82 Tigermoth flown by Squadron Leader G A Watt. Mepal’s first unit was 1665 Heavy Conversion Unit that was originally based at Great Ashfield. It had 24 Stirling Mk1’s but only stayed for a week, before moving to Waterbeach. The New Zealanders of 75 (NZ) Squadron Royal Air Force were the first operational occupants of Mepal Airfield in June 1943 flying Stirlings initially and then Lancasters. The Squadron was already very experienced prior to its move to Mepal and had completed almost 3500 sorties with over 100 losses. The first operational sortie was on 3rd and 4th July 1943 when 13 Stirlings attacked Cologne with no losses. The next few months were extremely busy for 75 (NZ) Squadron with missions being flown to Hamburg, Essen, Nuremburg, Turin, Munchen-Gladbach and Berlin. The last bombing missions for the Stirlings were in November 1943 when Air Chief Marshall Harris ordered that Stirlings would no longer operate over German targets. The Squadron continued flying the Stirling for another 4 months on other missions such as mine laying, attacking rocket sites and carrying out special operations. On the night of 19th April 1944 an enemy intruder attacked Mepal dropping over 34 anti-personnel mines, but no injuries were reported. The same night 2 Lancasters were shot down in the circuit at Witchford. The last Stirling left Mepal on 29th April 1944 which left 75 (NZ) Sqn with 26 Lancasters; at this point there were 123 Officers, 284 Senior Non Commissioned Officers and 853 Other Ranks based at the airfield. The next few months again were very busy for the Squadron included support for the allied invasion on D Day and many bombing missions with the new 8,000 and 12,000 lbs bombs. On 29th September Mepal was once again under attack, this time by a V1 ‘Doodlebug’ which missed the airfield and landed and exploded at Sutton Gault. In January 1945 Wing Commander C H Baigent DSO DFC + Bar took over command of 75 Squadron. He had been a Flight Commander in 1942 and had completed a second tour the previous November; he arrived at Mepal just before his 22nd Birthday! 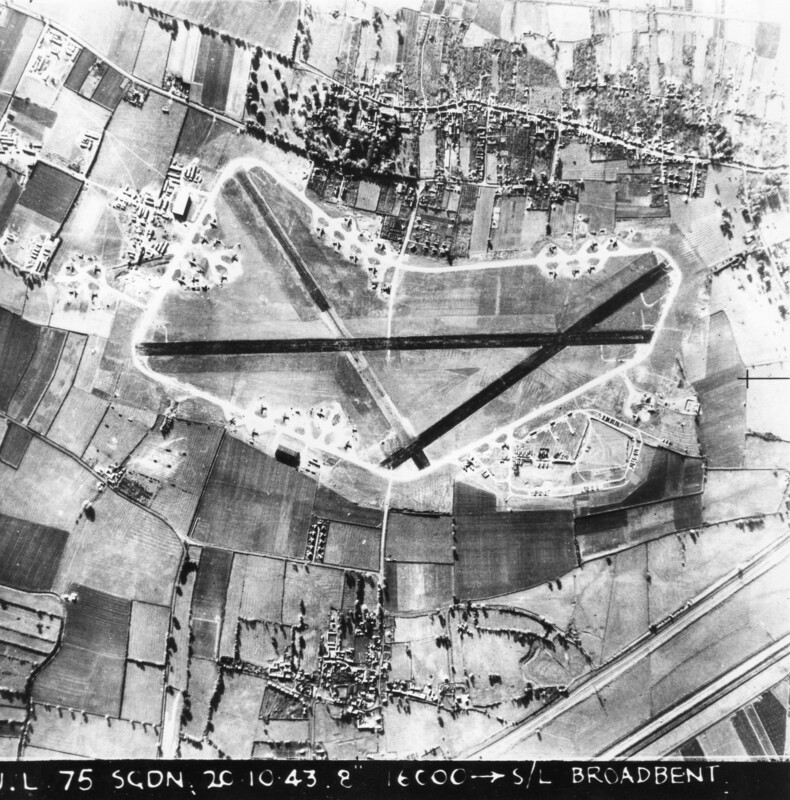 The last bombing mission took off from Mepal on 24th April 1945 when 20 Lancasters left for their 739th mission to a raid on Bad Oldersloe. 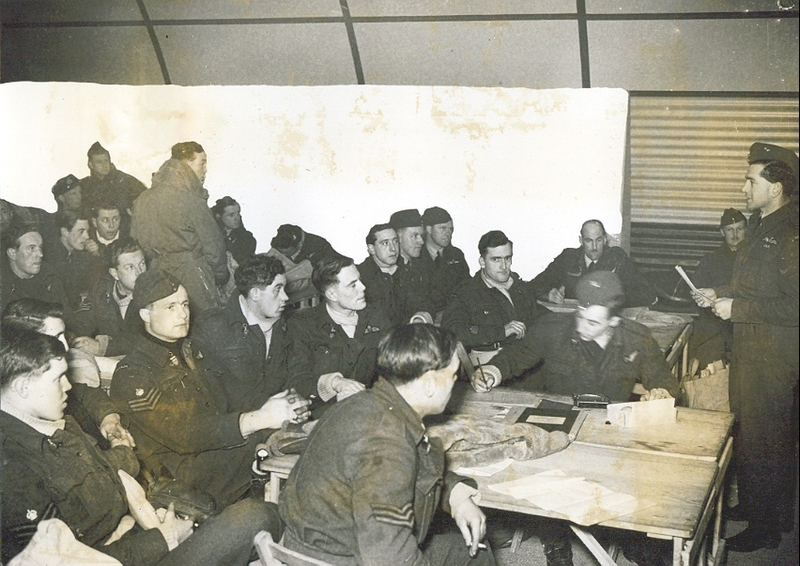 From the 29th April to May 8th 1945 Operation Manna was launched from Mepal which involved 126 sorties to drop supplies to the Dutch in Western Holland; a truce was arranged with the German commander to allow the mission to take place safely. After VE day as part of ‘Tiger Force’ Nos. 7, 44 and 49 Sqns moved in to train for the war in the Pacific, but these were stood down after the Japanese surrendered on August 15th 1945. At the end of the war 75 (NZ) Sqn were involved in the repatriation of prisoners of war. They also flew ‘sightseeing’ sorties over Germany for the ground crew and ‘Baedecker’ sorties to assess the effective of the bombing offensive. Belgium refugees were also taken home and by the end of May 1945 2,339 PoWs had been repatriated by 75 (NZ)Sqn Lancasters. 75 (NZ) Sqn flew 8,017 sorties (the highest total for the whole of RAF Bomber Command) on 739 operations, losing a total of 193 aircraft (the second highest loss rate). There is a very interesting and comprehensive website for 75 (NZ) Squadron at http://75nzsquadron.wordpress.com , well worth a look and gives lots more information than I could possibly hope to publish in this blog. In July 1946 the last Lancaster left Mepal; the airfield was earmarked to be a Transport Command base but this never came to fruition and it was put under care and maintenance. The last ever aircraft movement at Mepal was in 1949 when a Meteor F4 from Duxford made an emergency landing; the pilot had failed to switch fuel supplies and as a result both engines flamed out followed by a ‘wheels up’ landing; he was apparently reprimanded for his carelessness! The airfield remained closed until July 1959 when it became an important strategic base at the heart of the Cold War! There will be more about the intriguing history of the Cold War base in Mepal in a future Blog! All photographs are courtesy of the Cambridgeshire Community Archive Network. This entry was posted in Heritage, History, Stage 2-Development Phase, Theme 2-Hidden Heritage, Theme 3-Fen Folk & Legends and tagged 75 (NZ) Squadron, D Day, Lancaster, Mepal, Operation Manna, RAF Bomber Command, Stirling, World War II by peteratousewasheslps. Bookmark the permalink. A great piece on the history of RAF Station Mepal, home of 75 (NZ) Squadron later in the War. Jane, I would love to read your story about the crew of F-Freddie. My grandmother remembers this airfield well, as she used to stay in Mepal at her Aunt’s house. As a small child she used to wave the American airmen away, and they used to come to her aunt’s house for breakfasts (and sneak my grandmother sweets! ).